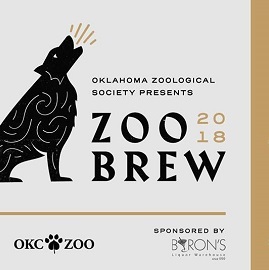 Join ZOOfriends at Oklahoma City’s best beer festival on September 28. Located around the newly renovated Devon Picnic Grounds, the event offers fun for the over-21 crowd. ZOObrew, now it’s tenth year, is ZOOfriends’ most anticipated fundraiser and couples food and beverage with music and fun. Interested in bringing your brewery or homebrew out to ZOObrew to pour for over 1,800 guests? Contact Matt Burkholder at (405) 425-0613 or Mburkholder@zoofriends.org.